The commemoration of war martyrs has been an im-portant issue in contemporary Vietnam. These collec-tive memories of war martyrs, however, do not appear independently but are organized and shaped by the powerful state machine. The state does not only control the means of remembering, but also prescribes rules for how the past should be remembered. Yet, the state’s centralized authority is not absolute, since it exposes some limits and is challenged by local agents. Normally, many professional Vietnamese historians assert that the postcolonial moment happened in Vietnam in 1945, right af-ter the victory of the August Revolution and the emergence of the Democratic Republic of Vietnam in September 1945. How-ever, one year later, the French came back in 1946 and reestab-lished their colonial rule in Vietnam. Therefore, the postcoloni-al shift, in fact, was delayed until 1954 when the First Indochina War was concluded in the Geneva conference, marking the end of French colonial rule. The Geneva treaty agreements, howev-er, partitioned Vietnam with a Communist Party-ruled gov-ernment in the North and an anti-Communist government in the South. The Second Indochina War, widely known as the Vi-etnam War or The anti-American Resistance War for National Salvation (Kháng chiến chống Mỹ cứu nước) then happened from late 1950s-1975. This was a violent struggle between the North Vietnam led by the Communist party and the socialist state on one side and the South Vietnam government directly supported by the U.S on the other side. Thus, the period from the late 1950s to 1975, Vietnam had two separate states and two different political institutions in the two parts of the coun-try. The country was officially unified in 1975. The government of the Socialist Republic of Vietnam and the Vietnamese Com-munist Party set out to consolidate the country economically and politically under the banner of socialism. This postwar subsidy era (1975-1986) was a time of hardship and isolation when people who had sacrificed their homes, their land and their children during decades of war faced a seemingly endless deprivation of basic necessities. This time was also a dark period for cultural activities since ritual prac-tices were limited, many religions were banned, etc. Reforms did emerge in the mid-1980s with changes in Party leadership and influence from external conditions. However, Vietnam is still a one-party state. The Politburo, selected by the Congress of the Vietnamese Communist Party, shapes govern-ment policy and the Party’s Central Military Commission makes decisions on military policy. In the mid-1920s, nationalist movements in Vietnam were led by the Vietnamese Nationalist Party (VNP), a political party of Hanoi-based intellectuals. Modeling itself on the Chinese Goumintang, the VNP under the leadership of Nguyễn Thái Học sought independence from French colonial rule. It published many revolutionary materials and attracted attention through its assassinations of French officials and Vietnamese collabora-tors. However, the movement was quickly put down under the suppression of the French. The leader of the VNP, Nguyễn Thái Học was captured and executed in 1930. Thus, the soldier who was killed in battle was a martyr (Liệt sĩ), whereas other soldiers and volunteers who died from the acci-dents or disease while serving in military service were classi-fied as “war dead” (tử sĩ) and the large numbers of North Viet-namese civilians killed in American bombing raids were “victim of war” (nạn nhân chiến tranh). The first official monument built by the socialist state to com-memorate the fallen soldiers erected in the capital in 1955. The monument was built of wood including a single pillar stood up and a curved roof. The most outstanding feature of this monu-ment was the phrase “The Fatherland Remembers Your Sacri-fice” vertically inscribed on the pillar. Erected in the Ba Đình Square, a historical site of Hanoi, the monument immediately attracted the attention of the public. Its design also became the model for many war monuments in North Vietnam in the 1950s-1960s. The monument was dismantled in 1957, and re-built with bricks at the Mai Dich cemetery several years later. The official presence at the ceremony was extensive including the secretary of the Communist party cell, the President or Vice-President of the People’s Committee of the commune in which the family resided. On some occasions every member of the executive committee of the administration and the party cell attended. Some other representatives from the agricultural cooperative and the party’s mass organizations were also in-vited to the ceremony (Nguyyễn, Lê 2003: 218-219; Malarney 2002: 172-79). Doi Moi was designed to transform the Vietnamese economy from a socialist, centrally planned economy to one driven by the market. During the implementation of these reformations, central features of socialism, especially the monopoly of politi-cal activity by one party, the Communist Party, and the social ownership of the most important means of production, have been strongly upheld by socialist authorities. However, privat-ization and opening the country to foreign investment has been gradually carried out. Civil society and non-state organizations have been given more space. NGUYEN, Hoa T.. Living With the Dead: Memory and State Authority in Post-Socialist Vietnam. 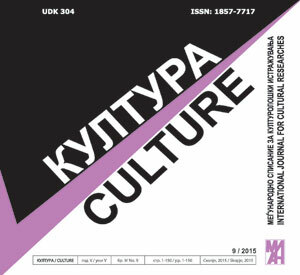 Култура/Culture, [S.l. ], n. 9, p. 71-82, aug. 2015. ISSN 1857-7725. Available at: <http://journals.cultcenter.net/index.php/culture/article/view/134>. Date accessed: 18 apr. 2019.